Collateral management contracts are the starting point that define your triparty activity. It is essential to set them up accurately and maintain control of their structure so that, at any time, you can see what contracts you have out there – active or under negotiation. EasyWay Contracts is intuitive digital tool through which you can define and manage your contracts through a single online portal ensuring they are implemented quickly and accurately. Transparent reporting and full control of all your contracts. EasyWay Contracts is a dedicated tool designed to allow hassle-free set-up and management of collateral management contracts. Using EasyWay Contracts provides all parties with an instant understanding of the current status and next actions, as well as the capability to consult past versions of contracts. 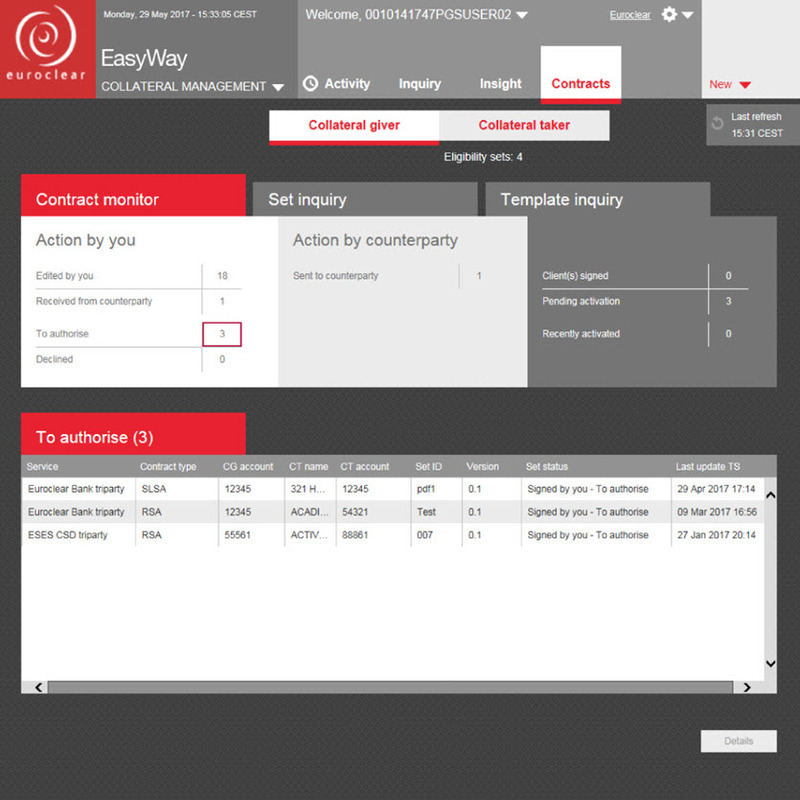 EasyWay contracts allows you to create and amend your contracts online – and share them with your counterparts. Your contracts are protected by the highest standards of digital security when using EasyWay. 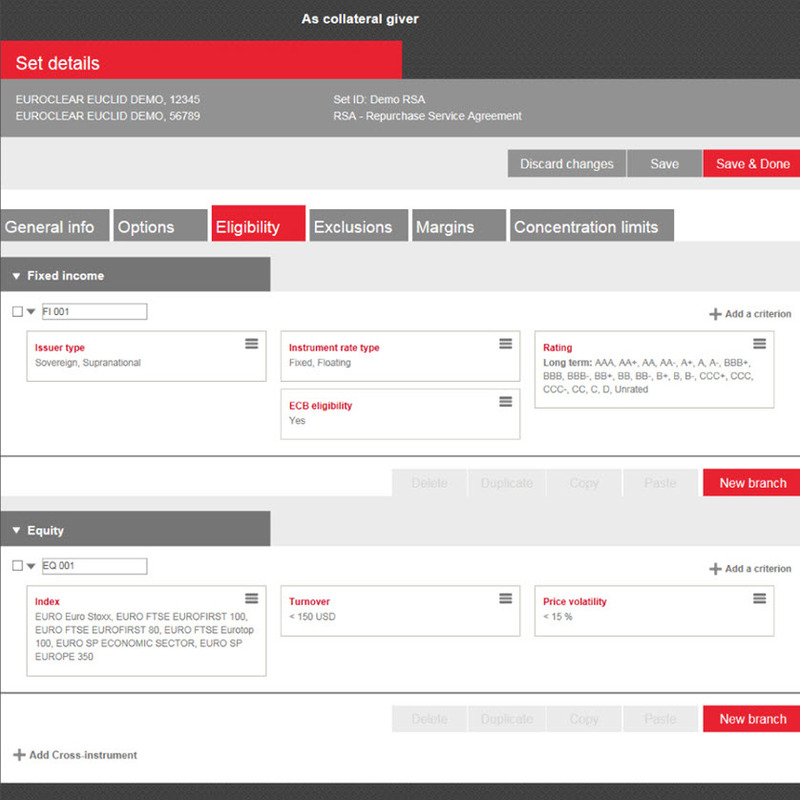 EasyWay contracts increases the control you have over your contracts allowing you to tailor your baskets as you see fit. Faster and more efficient implementation of all your contracts. EasyWay Contracts is a digital tool that allows you to access your contracts in an efficient and centralised manner, save time, cut your administrative burden and even save money. All of this while boosting your overall level of control. It is a powerful, yet simple and easy-to-implement online solution that is designed to make your life easier. Having online access to your contracts is simple and efficient. It gives you full control, saves you time and reduces your costs. We are committed to you. We are committed to digitisation. You can be confident that our solutions are helping you prepare your business for the future of our industry.